Here in America's heartland--at the crossroads of rivers, rails, and trails--you will discover the Boonslick territory that has inspired artists for centuries. 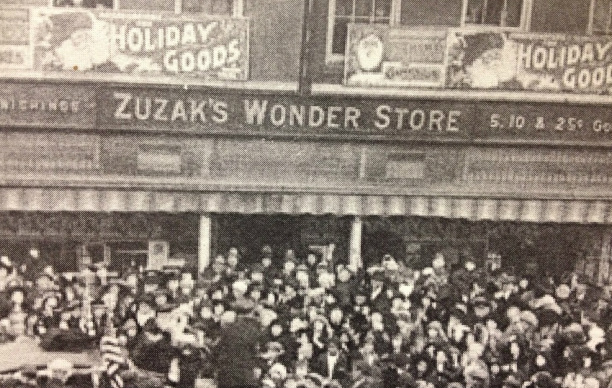 The Zuzak Wonder Store represents the latest work in that tradition. Boonville resident Tim Williams (1953-2011) was a prolific artist in a wide variety of media: oil, watercolor, pastel, pencil. Because he rarely exhibited his work, this posthumous exhibit provides a way to see the wide sampling of his art, including many done in and around Boonville. See more about Tim under the "Special Exhibits" tab above. Many artists from the Missouri River valley exhibit at the Zuzak Wonder Store on a regular basis, with works in oil, watercolor, photography, fiber arts, and jewelry. Books, music and a special selection of limited edition prints by Gary R. Lucy can also be found at the gallery. An egret enjoying a mid-morning snack. A steamboat churning up the river in a historic race. A near collision of boats on a foggy morning. The river comes to life, both past and present, with the stroke of Gary Lucy’s brush. Whether working in his floating river studio the River Rover or in his home studio on the Missouri riverfront in Washington, Missouri, Gary Lucy captures the beauty and ruggedness of nature and river life. See much more under the "SPECIAL EXHIBITS" tab above.